The world’s renewable fresh water supply may be considered to be the difference between precipitation over land and evaporation; and this supply is essentially fixed while world population has risen sharply and the water demands of growing economies continue to rise. As a result, water scarcity is an increasing problem throughout the world, with water shortages impacting both rural and urban populations and with substantial environmental damage as a result of water diversions for human use. Desalination has been deployed worldwide to expand the supply of freshwater, especially for coastal populations, and its use has increased rapidly, with roughly 90 million m3/day of capacity now installed. The cost and lifetime of plants has also improved steadily. But concerns remain about the energy consumption and costs of desalination. In this talk, we will discuss research directed at understanding the causes of energy inefficiency in various desalination processes and efforts to adapt concepts from thermal systems engineering to improve the design of both thermal and membrane desalination systems. Topics to be discussed include thermodynamic and heat and mass transfer phenomena in various desalination technologies, with examples drawn from reverse osmosis, humidification-dehumidification, forward osmosis, membrane distillation, and the remediation wastewater from oil and gas production. Prospects for renewable energy integration will also be considered. JOHN LIENHARD is the Abdul Latif Jameel Professor of Water at MIT. During three decades on the MIT faculty,Lienhard’s research and educational efforts have focused on heat and mass transfer, water purification and desalination, and thermodynamics. Lienhard received his bachelors and masters degrees in thermal engineering at UCLA from the Chemical, Nuclear, and Thermal Engineering Department. He joined MIT immediately after completing his PhD in the Applied Mechanics and Engineering Science Department at UC SanDiego. Lienhard’s research on desalination has included humidification-dehumidification, membrane distillation, forward and reverse osmosis, nanofiltration, electrodialysis, management of high salinity brines, fouling, energy efficiency, and remediation of wastewater from oil/gas operations. Lienhard has directly supervised more than 85 graduate theses and postdoctoral associates, and he is the author of 200 peer-reviewed publications and three textbooks. In addition, he holds more than 40 US Patents and pending applications, many of which have been commercialized in the water industry. Lienhard is a recipient of the 2012 ASME Globalization Medal and the 2015 ASME Heat Transfer Memorial Award. Lienhard and his students have received thirteen best paper and poster awards for their desalination research over the past seven years. Sustainable wastewater treatment demands maximized resource recovery and minimized resource consumption. Recovery of valuable resources such as energy, nutrient, water, and other value-added products, will help offset resource consumption by wastewater treatment. Bioelectrochemical systems (BES), as an emerging treatment concept, have attracted a great deal of attention in the past decades. BES rely on the interaction between microorganisms and solid electron acceptor/donors to achieve bioelectricity generation (in microbial fuel cells – MFCs), hydrogen production (in microbial electrolysis cells – MECs), desalination (in microbial desalination cells – MDCs), and organic synthesis (in microbial electrosynthesis cells). Nutrients such as ammonia and phosphorous can also be recovered through electricity-driven processes. BES have been greatly advanced in the aspects of microbiology, chemistry, materials, electrochemistry, and reactor design/operation. However, there is still a lack of successful pilot-scale demonstrations. This presentation will provide an overview of historical development of BES, current status of representative BES technologies, and perspectives towards future research and development. 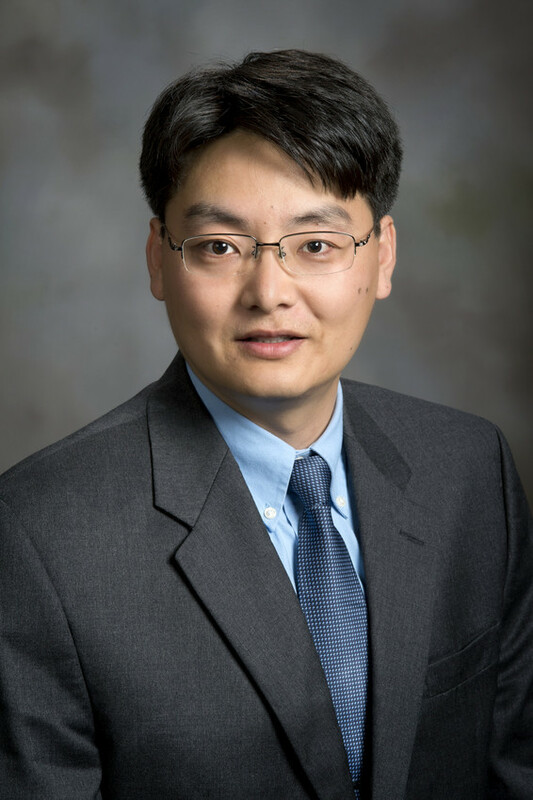 ZHEN (JASON) HE is a Professor in the Department of Civil and Environmental Engineering at Virginia Tech, and 2018 recipient of the Water L. Huber Civil Engineering Prize. Dr. He served as an Assistant Professor at University of Wisconsin-Milwaukee from 2009 to 2013, and then as an Associate Professor at Virginia Tech from 2013 to 2017. He received a BS from Tongji University, an MS from the Technical University of Denmark, and a Ph.D. from Washington University in St. Louis, all in Environmental Engineering. Dr. He directs the Environmental Biotechnology & Bioenergy Laboratory, which focuses on resource recovery from wastes/wastewater. The ongoing research projects in his lab include bioelectrochemical systems for wastewater treatment, forward osmosis, nutrient removal and recovery, and algal bioreactors. He has published over 160 journal papers, receiving more than 8,000 citations according to Google Scholar, and holds three US patents in the areas of microbial fuel cells, photobioelectrochemical systems, and osmotic bioelectrochemcial systems. He established the Virginia Tech Center for Applied Water Research and Innovations (CAWRI) as an inaugural director. Dr. He is also an Associate Editor for three journals, Science of the Total Environment, Water Environment Research, and Journal of Environmental Engineering, and is on the Editorial Board of the Chemical Engineering Journal. He was the 2017 President for Chinese-American Professors in Environmental Engineering and Science (CAPEES). Membranes are rapidly becoming the fastest growing platform for water purification, reuse, and desalination. They are also important for industrial separations, and are being considered for applications involving catalysis and sensing. All synthetic membranes have selectivity-permeability tradeoffs, i.e if a membrane has high permeability, it will have a lower selectivity between two solutes or between a dissolved solute and a solvent. This is due to the mechanism of solution-diffusion through a wide distribution of free volume elements in non-porous membranes, such as reverse osmosis membranes used for desalination, and a wide pore size distribution in porous membranes. A simple solution, in concept, to such a challenge is to do what nature does - design precise angstrom to micron-scale pores with no polydispersivity. However, so far such an ideal has not been realized in synthetic membranes and in particular for angstrom-scale separations. I will describe what we think is an achievement of such an ideal based on pillararene artificial channels, where pore selectivity and permeability are preserved and demonstrated at each stage from chemical design, molecular transport characterization, simulation, self-assembly to finally membrane fabrication and testing, resulting in bioinspired artificial water channel based block copolymer membranes. 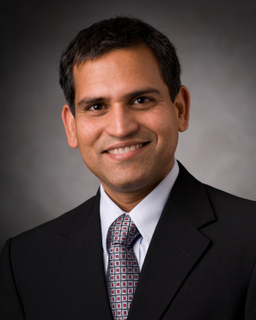 MANISH KUMAR is an Associate Professor of Chemical Engineering, Environmental Engineering (by courtesy), and Biomedical Engineering (by courtesy) at Penn State. He received his bachelor's degree from the National Institute of Technology in Trichy, India in Chemical Engineering. He completed an MS in environmental engineering at the University of Illinois, and then worked for approximately seven years in the consulting industry on applied research projects (lab, pilot, and full-scale) on membranes for water and wastewater treatment. Manish returned to Illinois to complete a PhD in the area of biomimetic membranes and then conducted postdoctoral research at the Harvard Medical School on the structure of water channel proteins, aquaporins. He works in the areas of membrane protein structure and biophysics, membrane protein enhanced synthetic block copolymer membranes, and on developing artificial membrane proteins and biocompatible electrical interfaces. The overarching interest of his group, however, is in developing novel strategies to improve the performance of separation membranes using truly interdisciplinary approaches. He has received the NSF CAREER award and the Della and Rustom Roy award for outstanding materials research. Antibiotic-resistant bacteria (ARB) pose an imminent threat to global health. Their propagation is a major economic and public health concern due to the growing inefficacy of available antimicrobial agents to treat infectious disease. For example, ARB infections in the U.S. are responsible for $20 billion in excess health care costs and 8 million additional hospital days every year. Wastewater treatment plants (WWTPs) play a vital role in minimizing the discharge of many water pollutants to the environment, including antibiotics and pathogenic microorganisms. However, WWTPs may also serve as breeding grounds and point sources for environmental dissemination of antibiotic resistance genes (ARGs) and ARB. In this seminar, we will illustrate how biological treatment units in WWTPs promote bacterial growth and genetic exchange, which in turn may increase ARG proliferation and transfer to indigenous bacteria in receiving waters. We will examine the behavior, replication, and fate of multidrug-resistant, plasmid-borne blaNDM-1 (coding for New Delhi metallo-β-lactamase) and other ARGs throughout the various processes, and we will assess mechanisms that enhance their removal. Our data and other studies show that curtailing the release of antibiotics to sewage (or enhancing their removal via pre-treatment) may alleviate their selective pressure and mitigate ARG proliferation in WWTPs. We also show that increasing the metabolic burden of plasmid reproduction (e.g., higher growth rates, and low substrate and O2 availability) promotes ARG removal. Accordingly, manipulating WWTP operation variables (e.g., food-to-microorganism ratio or contact time in anaerobic digesters) may facilitate ARB control. Because some "superbugs" are relatively resistant to disinfection by chlorination, we also explore novel biocontrol approaches using polyvalent (broad-host-range) bacteriophages and nanotechnology-enabled photocatalysts. Overall, this body of work underscores the need to develop more effective ARB attenuation and control approaches, and shows promising steps that environmental engineers and scientists can take to mitigate the spread of antibiotic resistance. 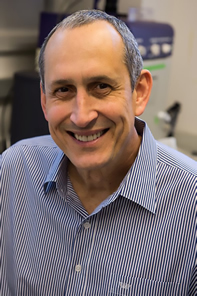 PEDRO ALVAREZ is the George R. Brown Professor of Civil and Environmental Engineering at Rice University, where he also serves as Director of the NSF ERC on Nanotechnology-Enabled Water Treatment (NEWT). His research interests include environmental implications and applications of nanotechnology, bioremediation, fate and transport of toxic chemicals, water footprint of biofuels, water treatment and reuse, and antibiotic resistance control. Pedro received the B. Eng. Degree in Civil Engineering from McGill University and MS and Ph.D. degrees in Environmental Engineering from the University of Michigan. He is the 2012 Clarke Prize laureate and also won the 2014 AAEES Grand Prize for Excellence in Environmental Engineering and Science. Past honors include President of AEESP, the AEESP Frontiers in Research Award, the WEF McKee Medal for Groundwater Protection, the SERDP cleanup project of the year award, and various best paper awards with his students. Pedro currently serves on the advisory board of NSF Engineering Directorate and as Associate Editor of Environmental Science and Technology.